Effective maintenance is the key to prolonging the lifespan of your caravan – it is a significant investment for many, so why not make sure it lasts as long as possible? The most important interior aspects of caravans, such as the bathroom, kitchen and sleeping facilities, require regular maintenance to ensure that they always function when you need them most. Here at TowFix in Newcastle, we specialise in providing reliable caravan repairs to caravans of all makes and sizes in the area. Feeling unsure about the performance of your caravan while on the road? It might be time for maintenance work – call us to arrange a convenient time for all your caravan repairs in Newcastle, Port Stephens, the Gold Coast, and Sydney today. If you feel like your caravan is behaving in a way that is different than normal, or if you’re unsure when the last time you got a service was, we’ll be able to find any issues that your caravan might have for you. We specialise in caravan maintenance across Newcastle, as well as Sydney, Port Stephens and the Gold Coast. If you think your caravan requires some repairs or a little bit of care and attention, we’d love to be the ones who provide it for you. Make sure you avoid poor quality repairs and remain safe by choosing Towfix for your caravan repairs and maintenance in the Newcastle area. We have the knowledge and equipment to ensure that your caravan is looked after in a way that allows for it to thrive. 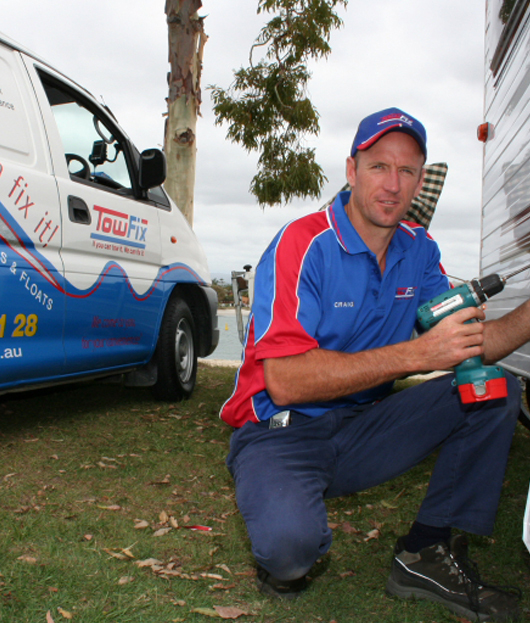 Towfix currently serve caravan owners in Newcastle, Sydney, Port Stephens and the Gold Coast, so make sure to drop us a line if you live in these areas. You can contact us by sending your enquiry through to us via our online enquiry form or by ringing us on 1800 15 21 28. Towfix also apply our expertise to mobile caravans, so make sure to get in touch today!